1. If lagna, twelfth house and seventh houses have Maraka planets and combust moon is in fifth or second house. The native remains bachelor. 2. If moon and Venus are opposite to Mars and Saturn (seventh house) the native either does not get married or breaks marriage. 3. In a male’s kundli, if moon and Saturn are posited in Seventh house, the marriage does not happen. 4. If Saturn is in seventh or in lagna. 5. Saturn and Mars are posited in Seventh house or aspect 7th house one faces problems in getting married. 6. Sun in seventh house or aspects the 7th house, the native will tend to lose sexual urge and even loose his interest in marriage. 7. If fifth and seventh lord, both are afflicted. 8. If Venus and 7th lord are not in favorable position one is devoid of marriage. 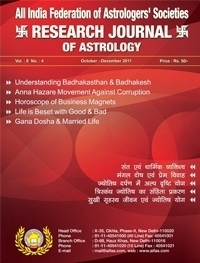 In the research work of the horoscopes of some famous personalities belong to various fields it was found that the planetary promises are huge and enough in the horoscopes of these celebrities in grooming them into the successful person in their respective fields but marriage yogas are obstructed by one or other reasons. 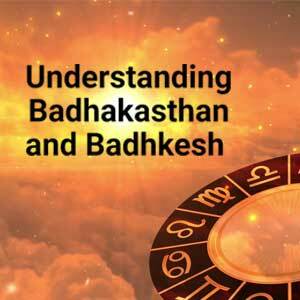 Let’s find out those astrological reasons in the horoscopes which make them unmarried in their life. Ratan Tata is instrumental in the setting up of the Tata foundation. He is a trained pilot who still takes to the skies in his own aircraft. He is the receiver of a number of awards like Padma Bhushan and forbes Asia’s Businessman of the year. But marriage alluded to this person. The man of this magnitude is spinster and leads alone life happy with his two German shepherds in an apartment in down town Mumbai. He was born in Vishakha Nakshatra, he could not enjoy love & affection of mother, and right from the childhood he is a hardworking and self made man. Lagna lord Jupiter is debilitated and posited in second house. The seventh house has aspect of three planets - Venus, Mercury and Sun. Seventh lord is Mercury who is in close association with Sun hence it is combust and weak. Due to the Sun’s aspect on seventh house gave him disinterest for marriage. In Navamsha chart seventh house is in Rahu and Ketu axis. A singer par excellence, great humanitarian, an ideal daughter and ideal sister, receiver of Bharata Ratna and Dada Sahib Phalke Awards, who broke all parameters in the field she chose and created magic by her voice all over the globe. The recognition, appreciation and adoration she has achieved is paramount and above all castes, creeds and culture. The woman of substance is unmarried all through her life. Her horoscope has Mars as the 7th lord. Mars is posited in sixth house (twelfth from 7th house) with Ketu, and is third from Venus which is not auspicious. 7th house is hemmed in between malefics Ketu and Saturn. From Moon, 7th lord is Saturn who is posited in sixth house. Mars and Ketu are posited in fourth house aspect 7th house. Jupiter is akaraka planet for Taurus lagna being the lord of eighth and eleventh houses. Seventh house in the kundli has Mercury who is aspected by malefic Ketu from the gain house. Lagna is aspected by debilitated Saturn and Navamsha lagna is occupied by debilitated Saturn and Ketu itself. Seventh lord Jupiter is afflicted by kendradhipatidosha, which caused an unmarried life for him. Three planets in profession house Mars, Moon and Jupiter making Rajyoga in his kundli. All planets have aspect on fourth house which gave immense support for Anna Hazare in his anti corruption protest. BJP leader Atal Bihari Bajpai is known as the famous politician of his time wasborn in Anuradha Nakshatra. Rahu in tenth house confirms this. Moon and Venus in speech house gave him good oratory skills. Sun Jupiter & Mercury in third house gave him abundance courage and ability to write poetry and use good words. But see the state of seventh house. Seventh house has Aries sign. Lord Mars is posited in sixth house (twelfth from its house) seventh house has aspect of exalted Saturn. Mars has aspect of Rahu another malefic. Mars lord of seventh and second house aspect Saturn in lagna. All these yogas denied marriage for him. The famous politician and BSP leader, chief minister of Uttar Pradesh Mayavati is an icon and inspiration for millions of Indian’s Dalit. She is often referred to as Behenji. A Dalit woman achieved heights in her respective field, earned recognition but is unmarried. In her kundli Jupiter is in lagna, and Venus is posited in seventh house. Seventh house lord is Saturn who is posited with Rahu and Mars in fourth house. Born in Dhanishtha nakshtra she could achieve all prosperity in life, but marriage could not happen. Her ascendant lord is Sun who is posited with Moon and Mercury in sixth house. 7th Lord Saturn is posited in 10th house that is in debilitation. Mars is posited in 12th house and makes him Manglik. 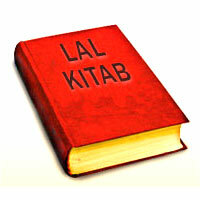 Lagna lord is Moon who is in debilitation and placed in fifth house causes instability in mind. Seventh house has aspect of Venus from lagna and Venus is debilitated in Navamsha kundli. Seventh house from moon has mercury and fourth house has Rahu. Veteran politicians Narendra Modi has said to be the creator of Gujrat state who brought significant changes and development schemes for the state, but has remained bachelor all through his life. Recently he was again in picture for Sadbhawna mission. Seventh lord is Venus who is posited in tenth house in association with Saturn. Aspect of debilitated Moon and Mars on the seventh house played negative role. 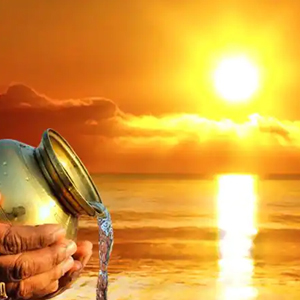 Sun, Mercury and Ketu in eleventh house gave him good career in politics, and Rahu in fifth house gave him recognition, Jupiter in fourth house gave him support of the masses, but marriage could not happen to him. Sushmita Sen is the famous Indian actress who was crowned Miss Universe in 1994. She was the first Indian woman who won the contest.In 2000, she adopted a daughter named Renee, and on 13 January 2010 she adopted a three months girl and named her Alisah. The actress is spinster till age. Let’s find out the planetary configuration at the time of her birth which caused such yogas in her kundli. She has Capricorn ascendant and lagna lord Saturn is posited in seventh house. Exalted Moon is posited in fifth house. And Sun is in eleventh house that is seventh from the Moon. Venus the karaka of marriage is in debilitation. Rahu in tenth house assures her international recognition. Exalted Moon in fifth house makes her affectionate and loving nature, further makes yogas for her to adopt two girls as without the wedlock. But the position of Saturn in seventh house in the natal chart and position of sun from moon in the seventh house cause yogas of spinster ship.